The OontZ Angle 3 Ultra is the new version of the best-selling portable Bluetooth speaker on Amazon. It’s totally worth it if you need something large, but for most people the original is still the way to go. 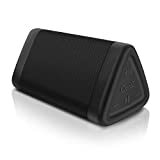 That’s right, after all this time the OontZ Angle 3 Enhanced Stereo Edition Splashproof Portable Bluetooth Speaker is still the best-selling Bluetooth speaker on Amazon’s whole site. If you don’t already have one or if you’re looking for the perfect holiday gift for just about anyone, it’s on sale right now for just $25.